Lean is popular now and Lean techniques have been implemented across the world in production processes and across industries however, one cannot learn about lean in isolation. I’ve discussed how Lean means striving towards perfection in my previous article. (Understanding Lean: The Idea of Perfection). To learn Lean we have to first and foremost invest time in knowing the man behind ‘Lean’ Taiichi Ohno (1912–1990). To me, Taiichi Ohno is not just a symbol of Japan’s manufacturing resurgence after the second world war, but a man who gave his entire life perfecting an idea — ‘The Idea of Lean’. Showing my reverence to the man and to understand what he did I would address him as Ohno San as a sign of my respect for him and his resilience. Born in Dalian, in eastern China, he joined Toyota Automatic Loom Works between the wars. This was the first business of the Toyoda family until it was sold to a British company, Platt Brothers, and the family decided to invest the money that it had gained from the sale in manufacturing motor cars. 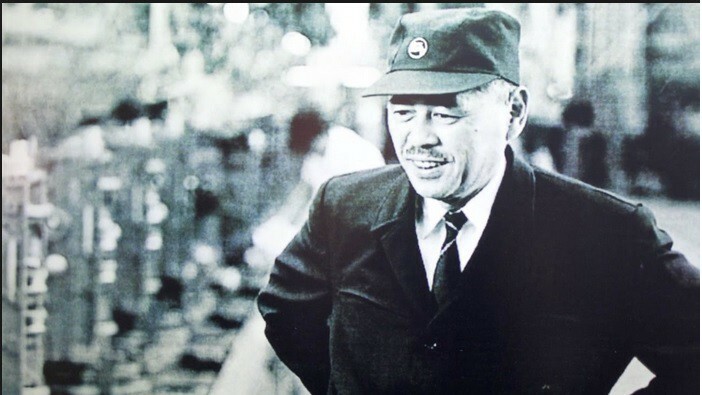 Ohno San switched to work as a production engineer for Toyota, a car company, towards the end of the second world war, at a time when its productivity was way below that of America’s mighty Detroit industry. Toyota’s boss decreed that it “must catch up with America within three years”. Or else. He was then sent to the US to study the American car manufacturing model so as to implement the same however, what he really got impressed with was the self-help retail stores which were not yet present in Japan and not their manufacturing units. From there the idea of JIT (Just-in-time) took birth. But, it is not as simple as it sounds. It took 30 long years for Ohno San and his team to perfect the idea. The statement bears testament to the fact that “Lean” cannot be understood without understanding the man behind it. Think of it this way. Imagine you work for an organization which is on the verge of a collapse and you are a part of the team which is being sent out to study the competition. Instead of coming back with a list of to do’s from the competition, which can be replicated, you come back with what you call a ‘revolutionary idea’ and you would like to give it a try and start questioning the basic processes of your industry on the whole. Do check the box below of what you think your boss’s response would be. Well! A is perhaps the most unlikely response and if you get that boss, please stick to him. Jokes apart but given the precedence of a failing post war economy Ohno San did not have much liberty, however he was determined to find a way and he did but finding “wastes” in the system and eliminating them. Lean is the bi-product of the creative innovations or should I say ‘design thinking’ , the immediate need to improve and scarcity of resources which has been worked on and perfected for over 30 years aimed not only on improving overall efficiency but all the enhancement of the work environment. The lesson we need to learn from Taiichi Ohno is more of perseverance and determination which help us see ‘Lean’ as it stands today.